combining multiple input and output modalities. Mixed reality refers to the merging of real and virtual worlds to produce new environments and visualisations where physical and digital objects co-exist and interact in real time. Situation awareness meets mutual knowledge for augmented cognition. - World Innovation 2: We detect and track objects in a terminator view in real-time for augmented cognition. with the sight of the user. See our first domain-independent application. 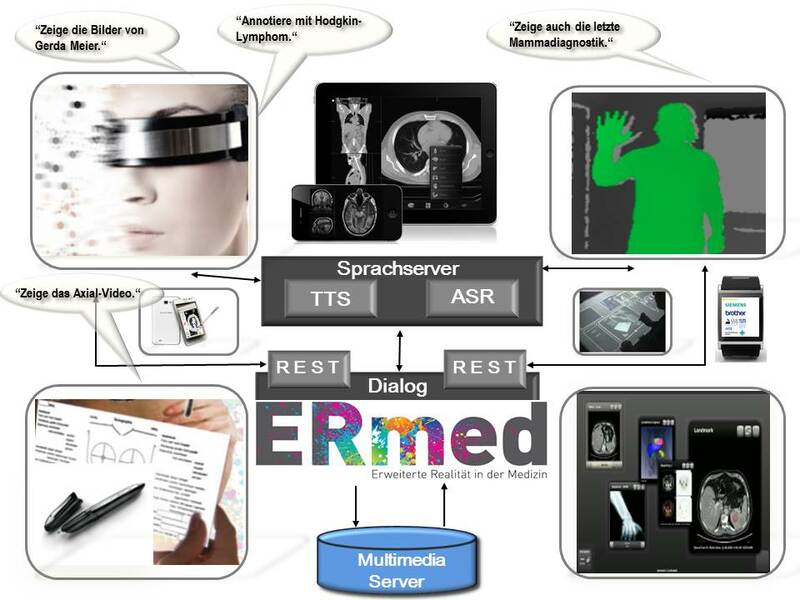 ERmed is a DFKI project based on RadSpeech. and combine it with an intelligent multimedia text and image multimodal (movement) management system. 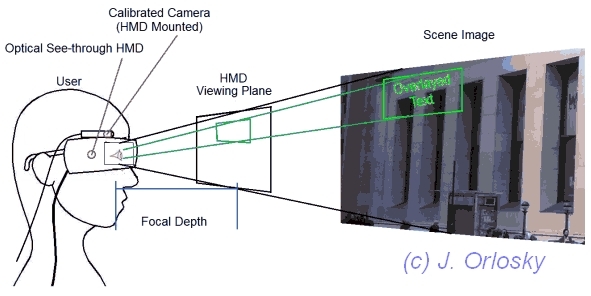 January 2014: First evaluation on the ability to accurately focus on virtual icons in each of several focus planes despite having only monocular depth ques, confirming the viability of these methods for interaction. 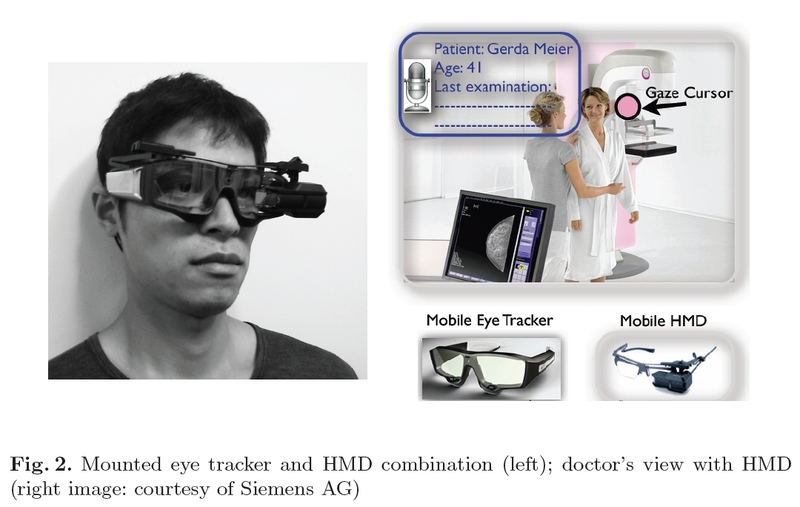 December 2013: Second evalution at ELTE in Budapest focussing on self-calibrating eye-tracking, robust gaze-guided object recognition and how "artifical salience" can modulate the gaze (un)consciously. October 2013: In Budapest, Takumi and Jason work on a combination of eye gaze and dynamic text management that allows user centric text to move along a user's path in realtime. February 2013: EIT Medical CPS Kick-off. 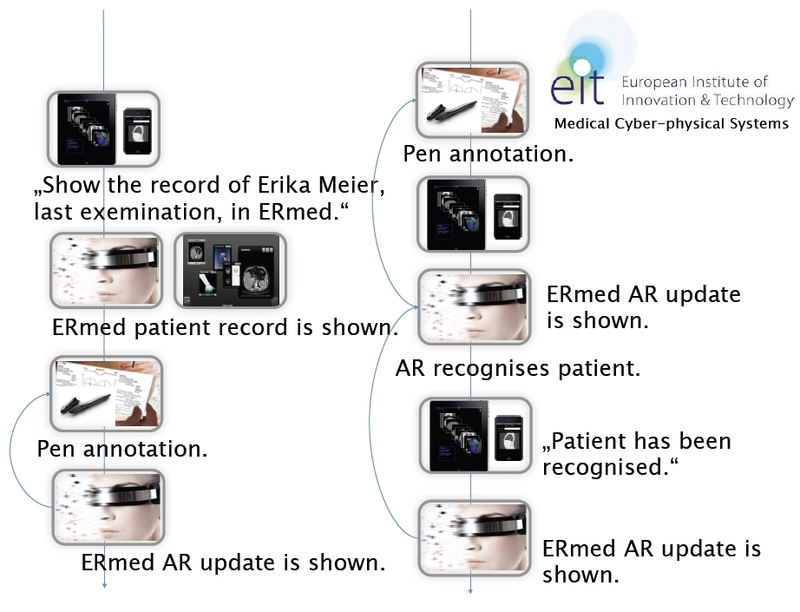 ERmed delivers sitation awareness cues for patient monitoring.